thoroughly addresses policy and training procedures, as well as the unique challenges faced by paraprofessionals and non-degreed staff. Find your bearings in the continually evolving hybrid reference environment through proven strategies, advice, exercises, and research from three experts in the field. 1 Why Bother with a Reference Interview? 1.1 What Is a Reference Interview? 1.4 Why Didn’t You Say So in the First Place? Catherine Sheldrick Ross is Professor Emerita at the University of Western Ontario. She has taught graduate courses in reference services, readers' advisory work, and research methods in the MLIS and PhD programs at Western. She has presented more than fifty workshops on reference and readers’ advisory to library professionals in the United States and Canada. 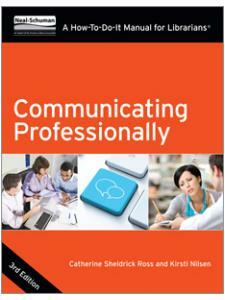 Together with Patricia Dewdney and Kirsti Nilsen, she has co-written Communicating Professionally (ALA 2013), now in its third edition. She is a four-time winner of the Reference Services Press Award. In 2013, she received NoveList’s Margaret E. Munroe Award given by the American Library Association for “significant contributions to library adult services.” She has published extensively in the areas of reference services, readers’ advisory, and pleasure reading, including: The Pleasures of Reading (2014), Reading Matters (2006), and Reading Still Matters (2018), the latter two co-authored with Lynne (E. F.) McKechnie and Paulette M. Rothbauer. Kirsti Nilsen taught introductory and advanced courses in reference, as well as government information, collection development, special libraries, and information policy while a professor in the MLIS program at the University of Western Ontario and, earlier, as an adjunct professor at the University of Toronto, where she completed her PhD. Her library experience includes employment at MIT and the University of Rhode Island, and as special librarian in a corporate libraries. She was a coauthor on the first and second editions of Conducting the Reference Interview with Catherine Ross, with whom she is also co-author of the third edition of Communicating Professionally. In addition, she is the author of The Impact of Information Policy and coauthor of Constraining Public Libraries: The World Trade Organization's General Agreement on Trade in Services, and author of many articles. 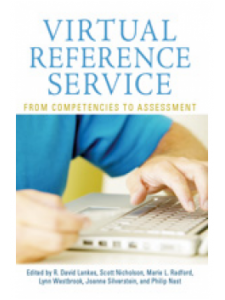 "The text is a fast read, and the tips and techniques can be immediately applied to improve reference service. 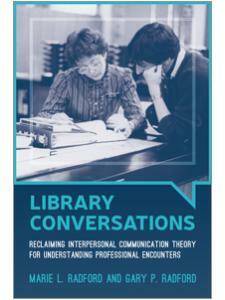 Well written and organized, Conducting the Reference Interview is sure to be a favorite among librarians. 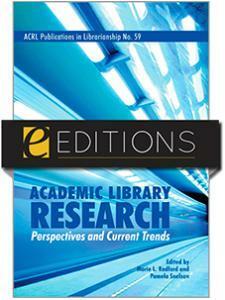 Bibliographic reference and an index are included." "The most compelling reason to read this volume is the amount and quality of knowledge and expertise, based on both research and experience, which come through in just about every sentence ... Every library school student should read this book, and it will be useful to many practicing librarians as a renewing and motivating refresher course in public service. It is most highly recommended." "Conducting the Reference Interview is essential reading for newcomers to the reference desk, as well as librarians who have served our profession for years. Supervisors will find it an effective tool for evaluating staff performance, librarians will find it helpful for day-to-day reference transaction analysis, and students will find it to be a pragmatic guide for assessing and enhancing their reference communication skills." "A thorough, well-arranged book... Conducting the Reference Interview would be an excellent text to use in reference courses in library schools and for further training for reference staffs in libraries." "This outstanding work is highly recommended for all libraries and is essential reading for all LIS educators and librarians involved in staff training." "An excellent manual for personal development as well as for training." "Valuable to anyone learning to be a reference librarian in addition to the librarian wishing to know more about the reference interaction and how it can be improved."